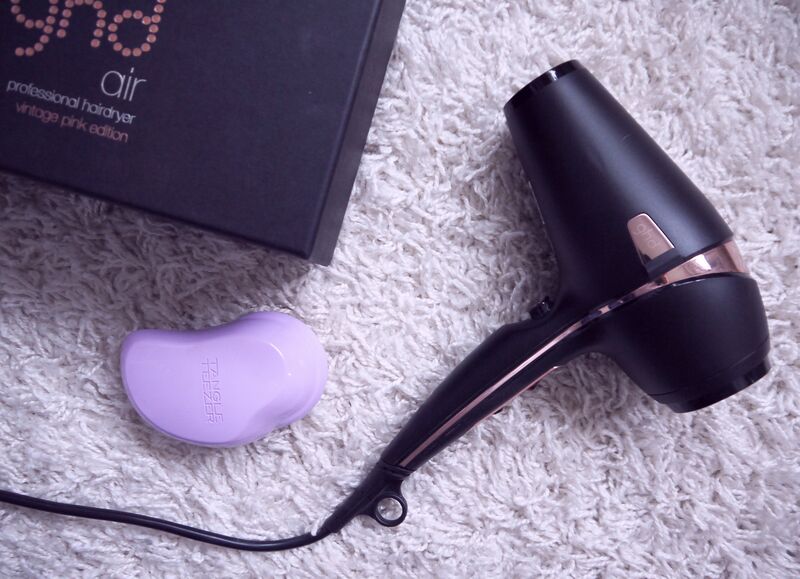 At first glance, this hair dryer oozes sophistication, in spite of its cutesy-pink detailing. The matte black keeps its class and the vintage pink accents are a girly but subtle touch. It’s pretty heavy, which doesn’t make it ideal for travel; however it’s not quite the weight to make your arm drop off while in use. To be honest, I’d rather it sit nice and safely on my dressing table while my travel dryer (at a fraction of the price) can get scratched and bashed about all it wants. It comes with two different sized nozzles, which I only tend to use to style the fringe (and right now I don’t really have one). I think the reason for its weight is down to its 2100w motor; super powerful, yet super quiet! It can get my hair dry in about 3 minutes without the result of a super frizzy weave that I then have to tame. Just a quick brush through with the Tangle Teezer and my hair is smooth and shiny with no flyaways. As my hair is naturally fairly straight (although ironically I’ve gone for messy curls today as you can see below), some days I don’t even need to run the straighteners through it… and that is a big deal to me. I believe that’s down to the ionic technology…. very fancy. The other added bonus to this hair dryer is its lengthy 3 metre cable. A first, I’ve found, when it comes to any hair appliance, and one that is extremely necessary when not all plug sockets are right on top of you! The long cable also means I can get that extra stretch if I’m attempting a decent blow dry. Overall, I’d say the GHD Air Hair Dryers are worth the price. 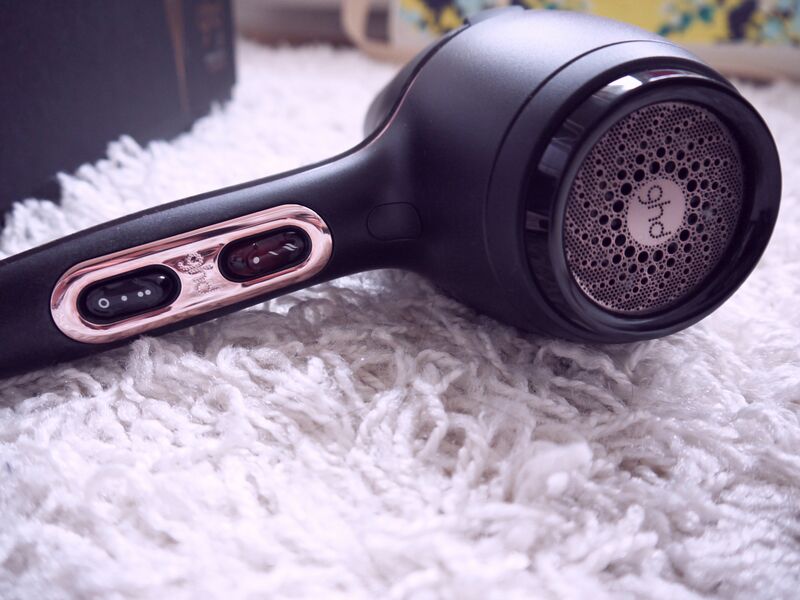 If you shop around, you’ll never pay full price, and GHD itself often offer £20 discount on limited edition collections. If you’re considering getting one, I’d say go for it. I honestly couldn’t live without mine now! Here’s to Good Hair Days!